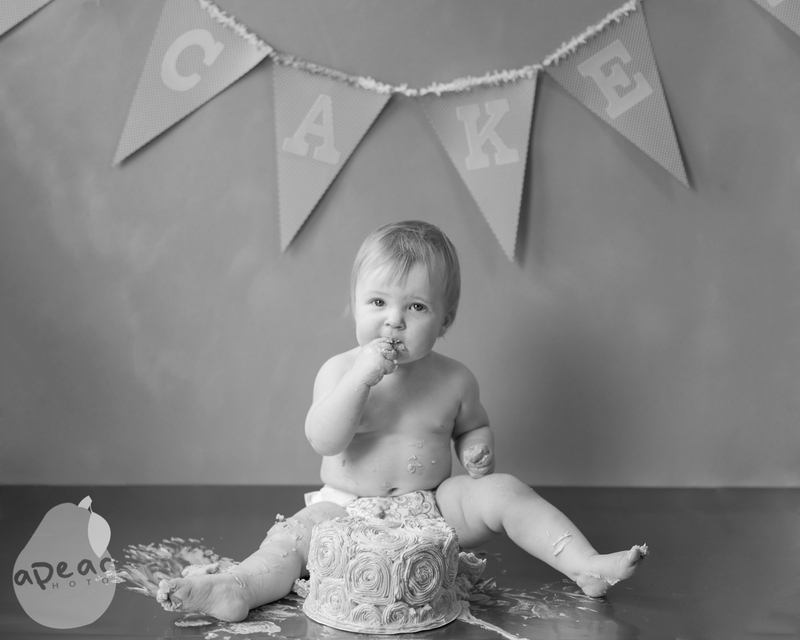 Little Austin turned One last week! She is just getting so big, and developing such a great personality! 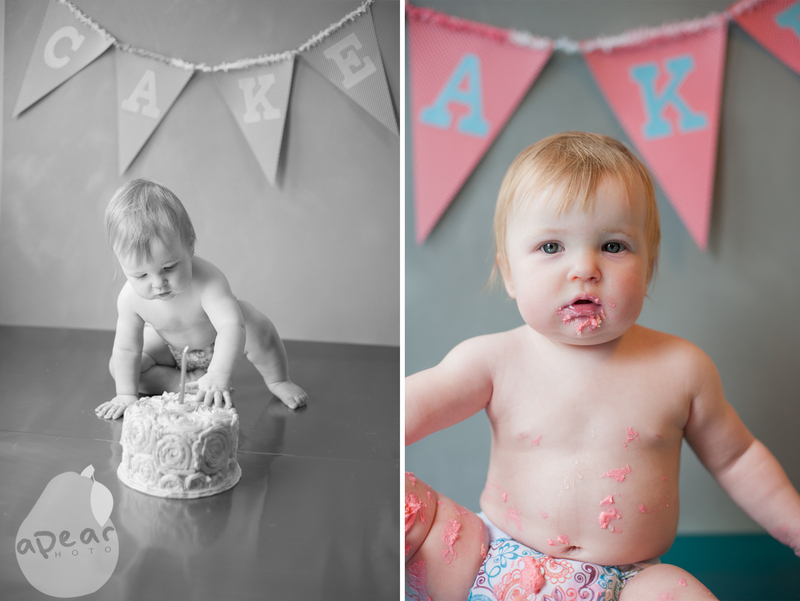 We took a few snaps before she dug into the cake, cause you know you have to take the pictures when they’re in the mood! 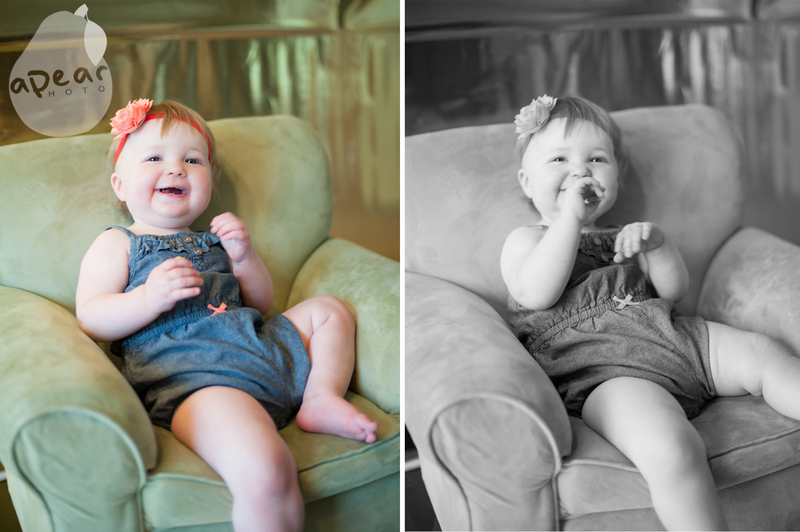 I can’t believe how much she has changed since the beginning of June when we had our last session together. Her smile and laugh are just so precious! She still has her cute serious smirk look that I just adore! She was just the perfect little model, posing naturally! 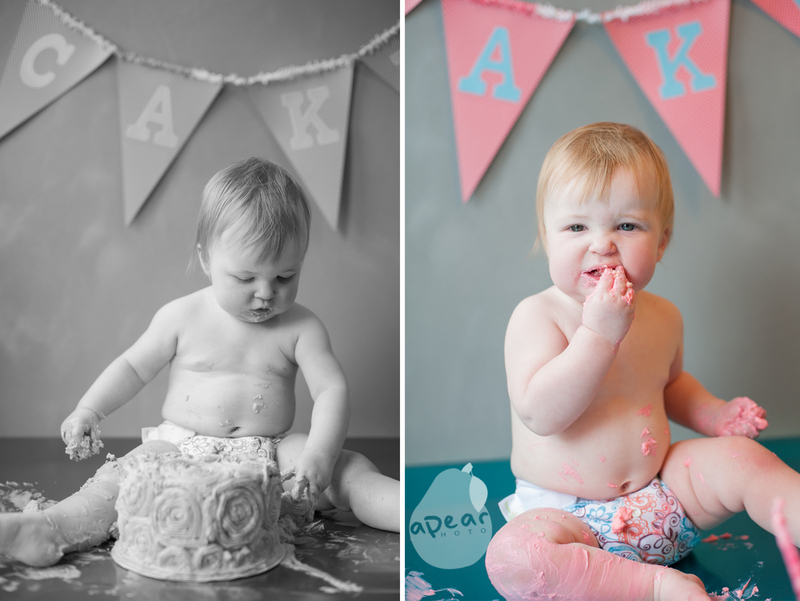 Here is, what you’ve been waiting for, cake smash time! 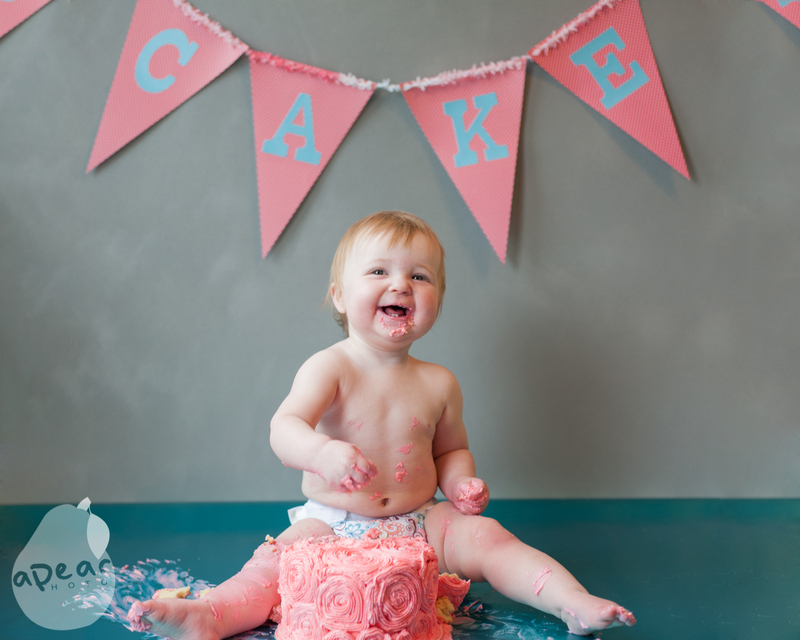 Sami and Mark did a great job on Austin’s cake! They were putting the icing on when I came over and they have real talent! Sami’s mom made the banner and it looks so great! I put together some background options and it all came together perfectly! She was a little timid at first but by the end, well you’ll see! 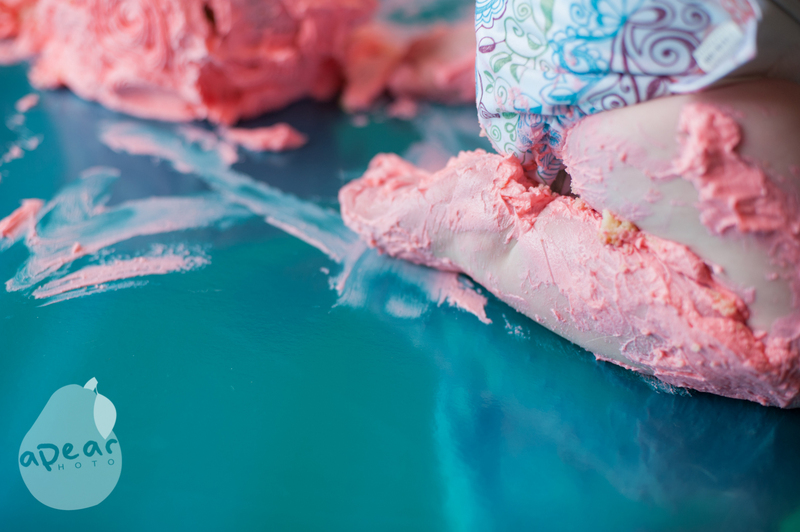 She was having a blast painting the floor with the icing! She’s a little abstract artist! 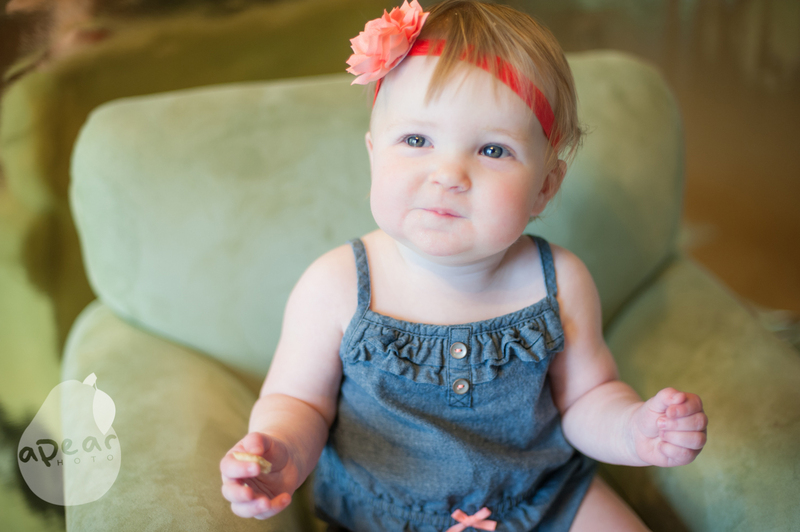 She made the cutest expression when she tasted the first piece, not quite sure what she thought. 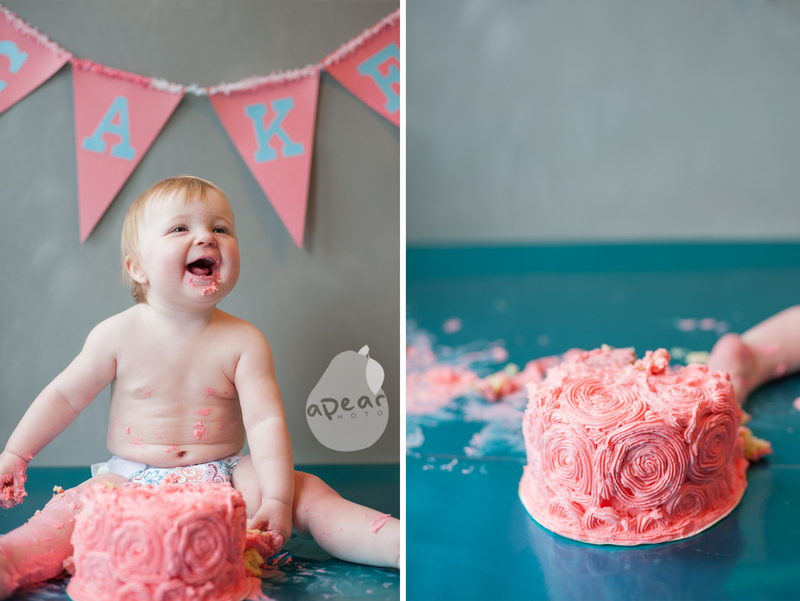 She had a lot more fun playing with the icing than anything, but can you blame her, icing is pretty much sugary paint……hahaha. 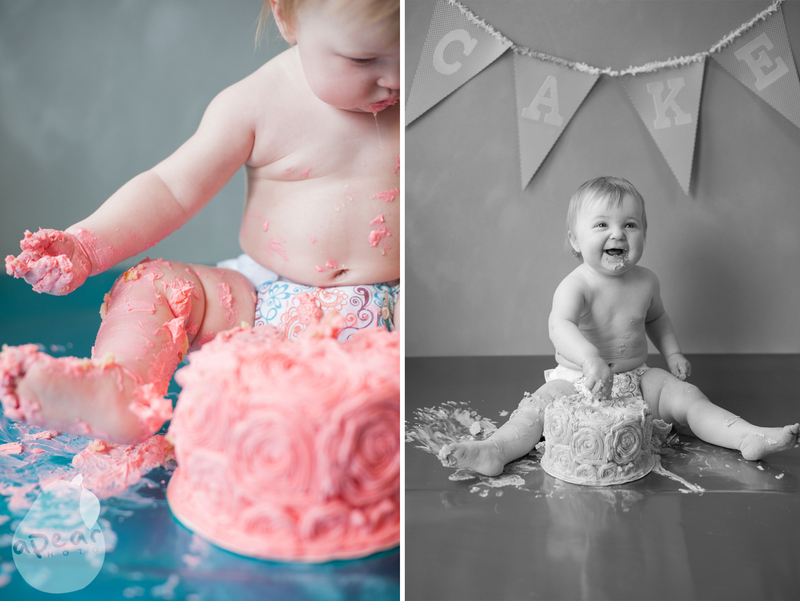 See what I mean, she was pretty into that icing painting, it was all over her cute little legs! 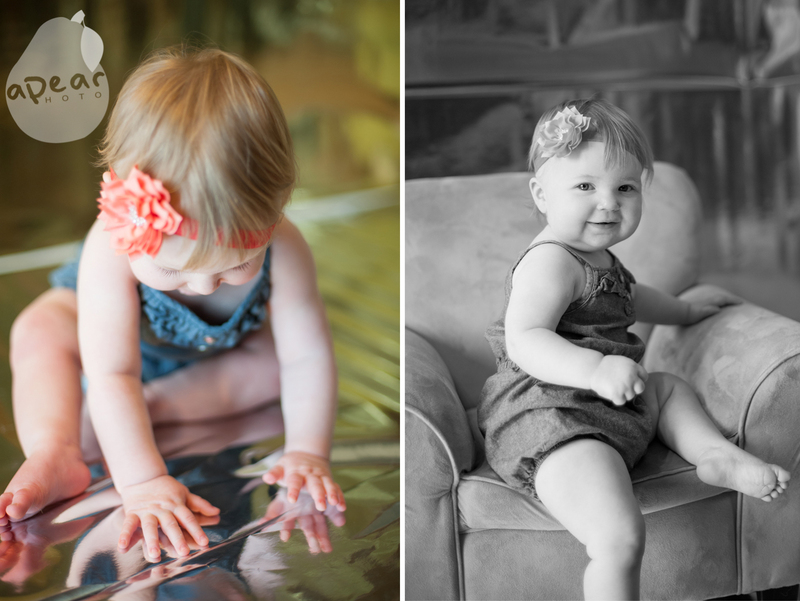 I just love kids and am so blessed that I get to photograph such special moments in so many of my little clients life! 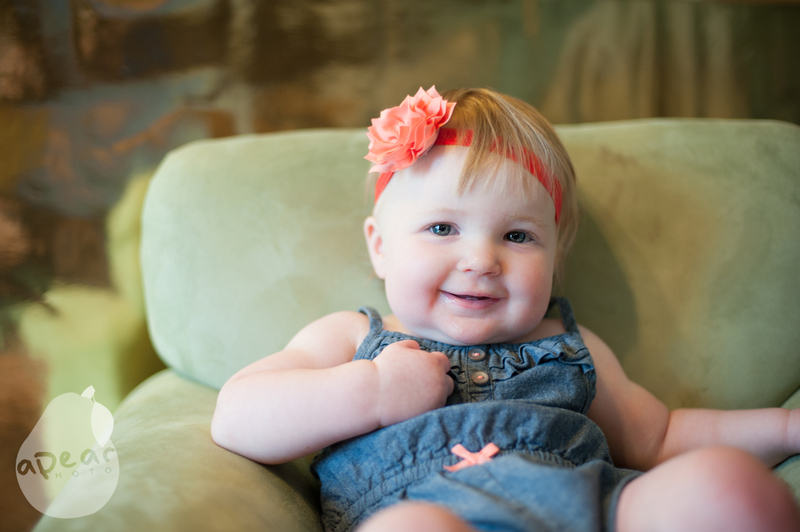 If you are looking for a photographer to capture your special family moments, and you live around Kansas City, I would love to become your photographer! Life is beautiful, don’t miss out on capturing it!